These are only some of the physical symptoms you have to deal with when you have Arthritis. It feels like there’s no end in sight, right? Only more doctor appointments. Are you supposed to accept this and keep taking pills forever? Pain from Arthritis can be dramatically relieved in your home – naturally and fast – through laser light therapy for arthritis. Why infrared light therapy is the best (proven!) drug-free & non-invasive way to relieve arthritis pain – fast (sometimes within minutes!). 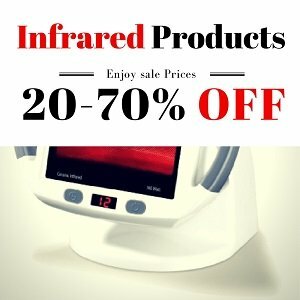 How to use infrared treatment at your home and save a ton of money on healthcare. 1 What Is Infrared Light Therapy for Arthritis? 2 What Does Infrared Therapy Do to Your Body? What Is Infrared Light Therapy for Arthritis? Infrared light is the heat you feel when you’re out in the sun. This powerful heat penetrates deep into your tissues – all the way through your muscles to your nerves and bones. In technical terms, infrared therapy uses light between 600 – 1000nm in wavelength, which is invisible to the human eye. Your body experiences infrared energy as a gentle radiant heat which can penetrate up to 1.5 inches (almost 4 cm) beneath your skin! Infrared light therapy is a 40-year science-backed method to relieve pain and reduce inflammation throughout the body, frequently used by doctors (the good ones), physical therapists and professional athletes. The light is emitted either through LED bulbs (in infrared lamps/handheld devices) or through natural jade/Amethyst stones (infrared heating pads). What Does Infrared Therapy Do to Your Body? Infrared waves go deep in your body and naturally raise your body’s temperature, which quickly speeds up your blood circulation. 2. Inflammation reduction – via healing components in your blood. Infrared light therapy for Arthritis helps your body do what it knows best (healing!) – only much faster, and better. Infrared treatments are side-effect-free (more on that later). Why Not Use “Regular” Heat? A regular electric heating pad won’t help you relieve joint pain in the long term, because the heat doesn’t penetrate your skin all the way to your joints and the muscles surrounding them. You need the infrared wavelength. You need to harness the power of the sun. Plus: regular electric heating pads can burn your skin and are sometimes a fire hazard. Fortunately, you can have this technology at home, at a very reasonable cost. 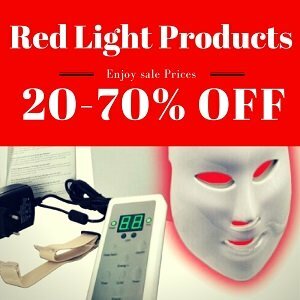 Is Far Infrared Light Therapy Proven by Science? Many clinical human studies have proven that Infrared light therapy (also known as Low-Level Laser Therapy) is more effective than NSAIDs in relieving pain and healing inflammation. 3. FIR treatment was demonstrated to provide greater movement in the joints, increased connective tissue flexibility, and increased endorphins level in the bloodstream, resulting in greater pain relief (Lehmann, Williams and Wilkins, 1990). These are only some of the studies. There are many more. Luckily, these days you can own an infrared home device, and use it any time you need it, for as long as you need it. All home devices are easy to use. You just plug them in and relax for the next few minutes. No traveling to a treatment center, no waiting until the morning or next week for a doctor appointment. And of course, no painkillers. How Long is Treatment Time for Arthritis? Treatment time ranges between 5 to 30 minutes, depending on the severity of your pain. The treatment is painless, and you can enjoy the gentle heat while reading a book, watching TV, or better yet – just closing your eyes and resting. 👉 You can also make your own infrared lamp – click the link to see instructions. 👉 See why we think the UTK FIR pads are the highest quality in our full review. An infrared sauna for arthritis is our #1 recommendation for Arthritis pain relief and healing – the natural way. You may be surprised to find that just one 40-minute session in a far infrared sauna can give significant muscle pain and stiffness relief – more than all the massages, acupuncture, physiotherapy, TENS, and ultrasound treatments together. Sitting in a wooden box, sweating like you never sweat before, can detox your body and loosen all your muscles in a way that feels like being born again – when you come out. The only side effects (if you hydrate properly) are clearer skin and better sleep. 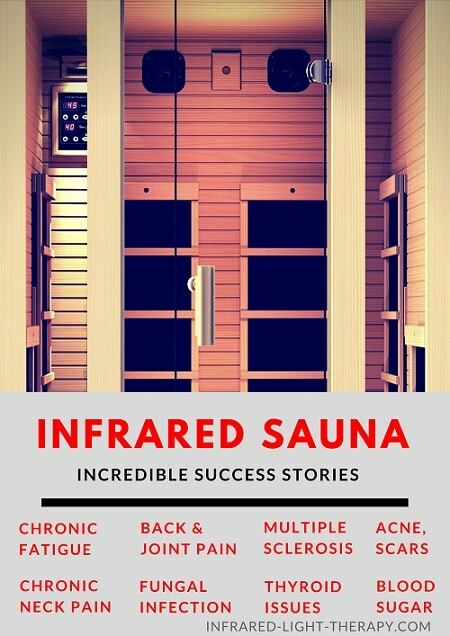 👉 You can see the top 3 infrared saunas, made with non-toxic materials and fairly priced – HERE. If your budget won’t allow having your own FIR sauna, you can go for a portable, low EMF infrared sauna – for half the price (and lower) of an infrared sauna. The home devices are just as effective as medical devices/beds/saunas. The only difference is the treatment area size they can treat. If you suffer from Arthritis in most or all your joints/spine, you’ll need a full-body treatment via a large infrared heating pad or sauna. If your pain is local (elbows, knees, hands, feet) – all you need is a high-quality infrared home device to save a ton of money on doctor appointments, physical therapy, and NSAIDs. Over time, the investment in the device will pay for itself. Both in the short and long term it is a wise investment. 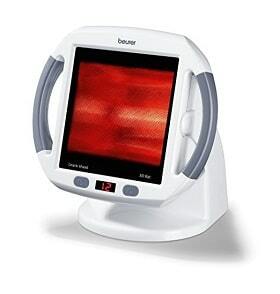 For small treatment areas – choose an infrared heating lamp or a hand-held device. 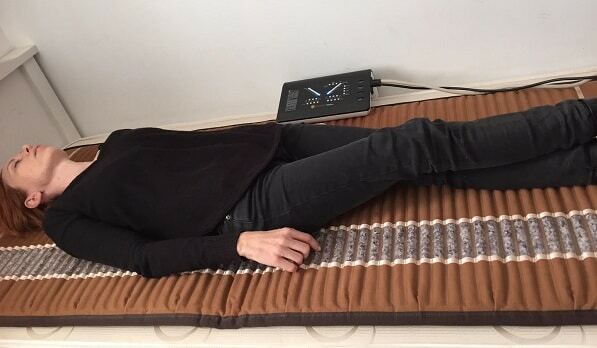 For large areas – Choose an infrared heating pad (you can choose a small/medium/large pad), or a 2-panel LED infrared device (the best one is the DPL Light Therapy Home Device). Infrared heat is emitted either through LED bulbs or through jade/amethyst stones (which are heated electrically). Infrared heating pads use natural stones to emit FIR rays, while hand-held/2-panel devices use LED bulbs. Jade/amethyst stones are a great healing bonus since they alone are considered therapeutic. It’s my #1 recommendation, but we wouldn’t recommend starting out with it. Try a relatively low-cost device first, to see how it works for you. Always look for devices with low/no EMF radiation. The best devices clearly state how much EMF (if at all) they radiate. The high-quality devices have a built-in timer, so you won’t have to continuously time your treatment sessions. Infrared light therapy for Arthritis is one of the most powerful, proven and drug-free ways to relieve arthritis pain and heal joint inflammation in the long-term. It can replace your pills, it can save you money, and it can work fast. 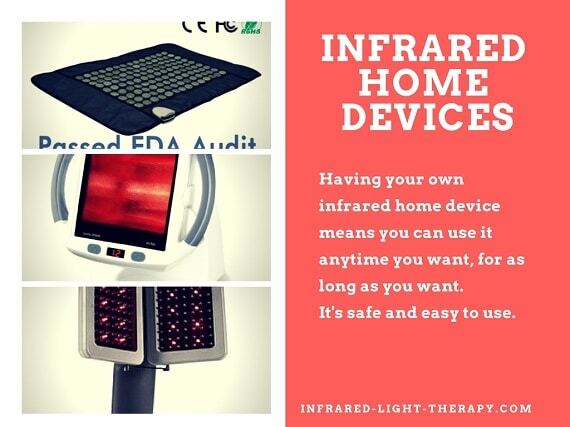 Having your own infrared home device makes this natural Arthritis treatment available to you 24/7 and can be used to treat any skin problems you may have as well. It’s non-invasive, safe and easy to use. There are more than a few high-quality infrared home devices for pain relief, and our current #1 recommendation is the DPL Light therapy system. What about you? Have you ever tried infrared therapy? What’s your experience? Share it with me in the comments below. 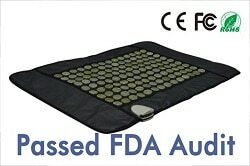 Can you use jade stone infrared pad after epidural spine injection. To my knowledge you can, but I would wait a few days before starting, and use at a low heat setting. To be on the safe side, consult with your doctor. My senior horse has arthritis … Is the pad safe to use to help her ? How often would I need to do it ? I have a FIR portable sauna at home and it works wonders, of course, I can’t put her in the sauna 😉 Thanks ! Yes, the pad should be helpful, IR therapy is often used with animals. My husband has been diagnosed with Rheumatoid Arthritis for over a year now. We’re looking for alternatives so that he can reduce or wean off some drugs that have caused many negative side effects. We’re looking at LLLT therapy and very confused with the array of products that are available. I’ve read your blogs and wonder what you think of products like Leanne Venier’s REDjuvenator, Joovv, BioFlex P120, RedLightMan? Panel vs. flexible band? What’s the difference between NIR and FIR? According to NASA studies, the best wavelength for pain relief and healing is 880nm. I believe the products you mentioned are 630nm – the red light wavelength and not the infrared wavelength – which is what you need. NIR and FIR are both infrared, however NIR is nearer to red light wavelength. I sprained my thumb really bad and nothing was working after I stopped NSAID’s. Did not want to use the prescribed NSAID’s very long, although they did take away the pain which was debilitating . Tried a small 880nm. LED unit with no luck at first. I got so frustrated I taped it to the palm of my hand where the pain was and left it there for four hours. I thought that had failed too but when I woke up the next day I was astonished to find the pain was reduced by 80 to 90%! Probably not the proper way to use the device, but it sure did the trick for me. Amazing.